Case Study: HIJUP - Gould. Strategic Branding.Gould. Strategic Branding. 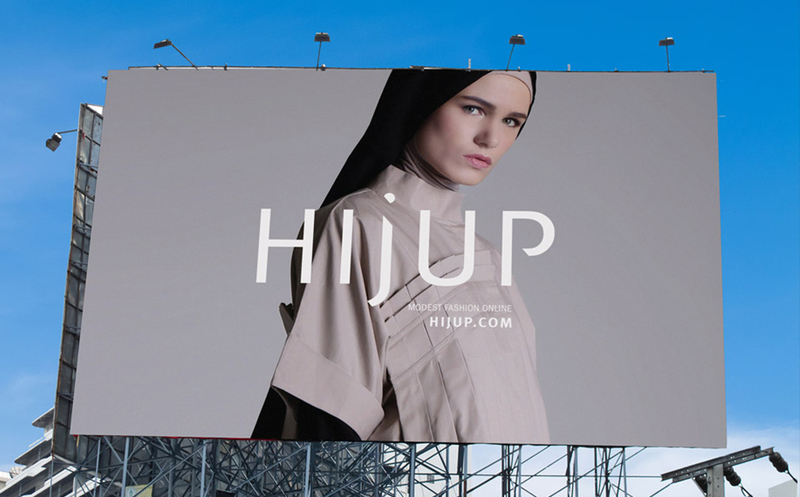 HIJUP is a leader in the space of modest fashion. As one of the first e-commerce platforms dedicated to discovering modest fashion online, HIJUP is moving from being a startup to a staple in the modest fashion arena. HIJUP is one of the first Muslim lifestyle companies to receive investment from global investors including 500 Startups from Silicon Valley. With over 100 employees, HIJUP continues to grow, pioneering new territory both in Indonesia and globally. We were approached with the brief to refresh their brand identity from the ground up. That is, to take HIJUP from being a fresh-faced, Indonesian-focused brand, to a sophisticated international fashion platform — while remaining true to their individuality & Indonesian roots. 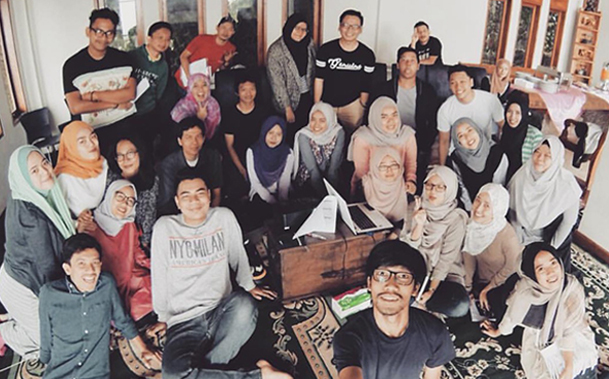 Subhi from our team visited HIJUP in Jakarta. By spending time with the HIJUP team, we were able to gain meaningful insights into what the people behind the brand valued, what it feels like to work at HIJUP, and what their vision & dreams are. We conducted in-depth interviews with the Founder & CEO, Diajeng, and COO Akli. We also ran a mini-workshop with the HIJUP managerial team to facilitate discussion on the way they feel about the brand and their future vision for it. 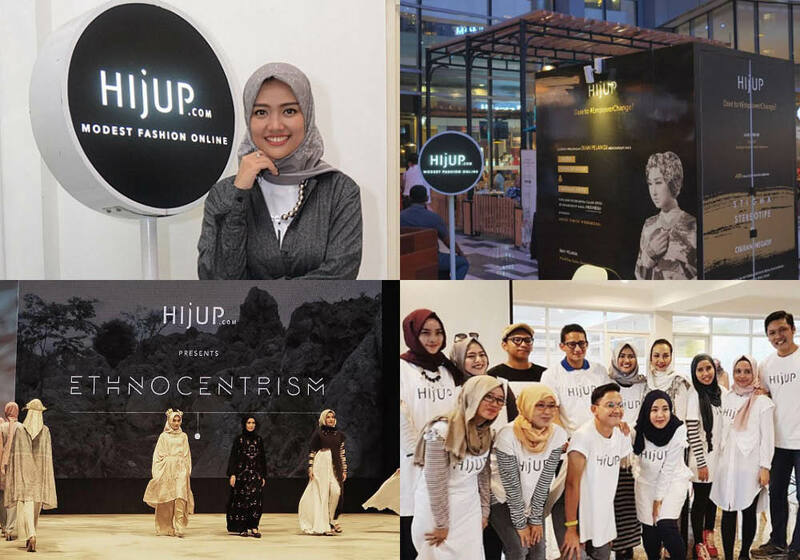 We met with key stakeholders such as designers whose clothing lines are sold on HIJUP.com, key social influencers who represent the brand, and HIJUP models. This immersive approach had the objective of gaining a well-rounded and in-depth understanding of what HIJUP currently means, and how it communicates. We found that there was a large discrepancy between what the brand was genuinely about and their visual identity. Our first step was to distill our findings into strong foundational vision, values, and brand personality. We then allowed this to guide the development of the new HIJUP brand identity. Based on our research and insights from our visit, we found that HIJUP were delivering something unique to the space of modest fashion. Their dedication to Islamic spiritual values and their Indonesian roots—alongside their down to earth personality—inspired us to create a brand strategy that brought these elements together in a cohesive and memorable new brand. This resulted in a contemporary logo with a high-fashion styled typeface, and a minimal black and white approach, made unique with 40 degree angle cuts. This little element, while not hugely obvious, points to an attention detail in the products where the expected 45º wasn’t perfect enough. The number 40 also holds a special significance within the Islamic faith, and the dot on the “i” reflects a moon in transition - speaking to the lunar-based Islamic calendar. 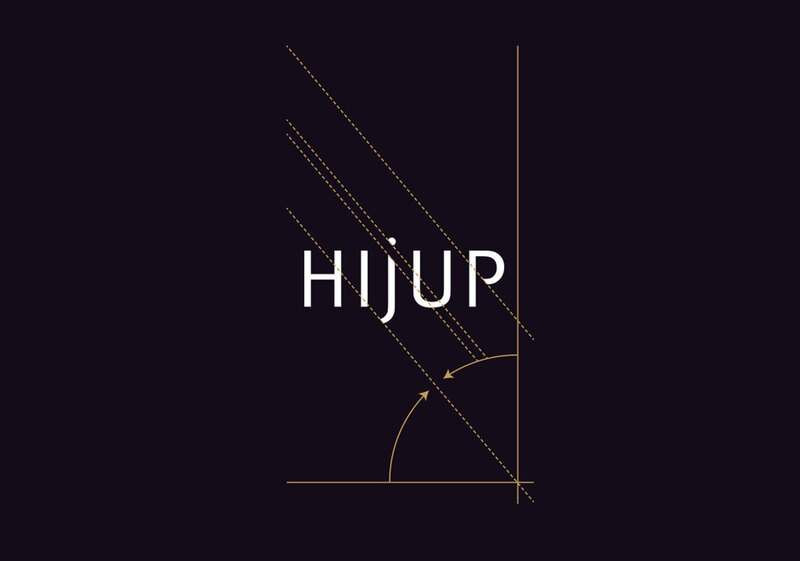 The new brand identity & strategy provided a cohesive identity for the whole HIJUP team to feel proud of. It ushered in a new chapter for the HIJUP journey, as it is maturing from a startup to an iconic brand, creating a timeless legacy.